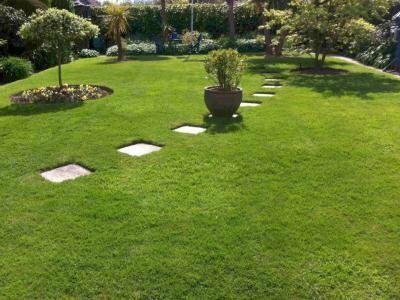 At GreenThumb Hastings we treat over 1,000 lawns each year, with each customer generally receiving at least four seasonal lawn treatments annually. We have been using Greenthumb for two years. We are very pleased with the service provided by Andy from Greenthumb. Andy is extremely efficient, punctual and personable. Communication and attendance are excellent & the treatments are very effective with excellent results. A persistent problem with bindweed was dealt with promptly by an additional treatment at no extra cost. Like all gardening issues an ongoing program of treatment & care gives excellent results. We have no problems in recommending Greenthumb & Andy especially as our lawns are admired by our neighbours & passers by. If you have a poor lawn with weeds and moss, give Andy and Greenthumb a try! Thanks for the review. 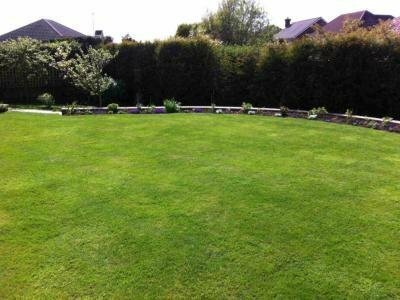 We are pleased you are happy with the service we provide and your lawn is looking good. We have been using Green Thumb for the past 4 years Andy has always been very professional and knowledgeable, advising us how to deal with our lawn, We once had a problem with leather jackets and I'm sure we would have lost the lawn had we not had Andy to help us. I have no hesitation in recommending Andy as he provides an excellent service. Thanks for leaving us such a great review, we appreciate it. Andrew is always very pleasant and willing to answer any questions we might have. He also tells us exactly what treatment he has applied. So glad we use GreenThumb. Hi, thanks for leaving us a review, we will pass on your lovely comments to Andrew. The front lawn was a mess but now probably the best in the street. Hi Richard, thanks for the recommendation. Our lawn was just a large expanse of moss until Andy arrived. After just a few treatments we could see a vast improvement. He is friendly and reliable and always provides an excellent service. Hi, thanks for taking the time to leave us a review, we really appreciate it. A wasteland two years ago, now a beautiful lawn - thanks Andy! We moved here two years ago and Andy came with us with his professional and friendly manner. We now have a lawn to be proud of. We highly recommend Andy to anyone without reservation. Thank you for taking the time to complete a review, we appreciate it. Andy is always on time, he gives good advice and is efficient and friendly. we thoroughly recommend his work. Hi Gordon, thank's for the recommendation. Highly recommended lawn care treatments. My wife and myself both thoroughly recommend Andy from Green Thumb Hastings. 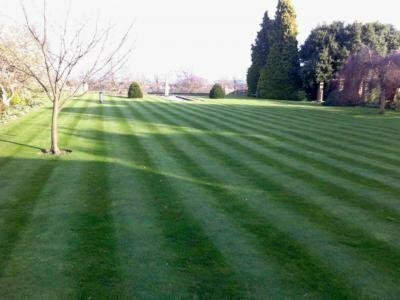 He has been treating our lawns since November 2014 and we are very happy with the results, the difference in the appearance of our grass speaks for itself. Andy is a really courteous, pleasant and reliable man and it's a pleasure doing business with him. Hi eturner, we are thrilled that you are happy with your results. Thank you for being a GreenThumb customer. We both wholeheartedly endorse all the comments in other reviews. It is a pleasure to know Andy himself, and our lawn has improved a massive amount. He does what it says on the tin!! W and P.S. Thanks for your lovely review and comments it is appreciated.